The awesome Mod t-shirt�from Head Space. 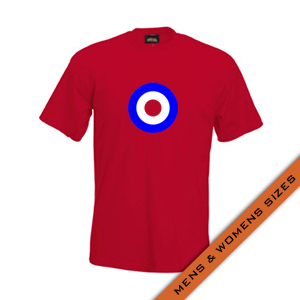 Featuring a blue and red�target on a white�t-shirt with the iconic Mod logo. Plus a red�HEAD SPACE on the shoulder! Sizes up to 5XL. 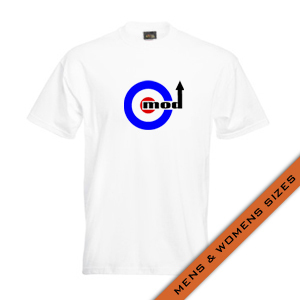 The awesome Mod t-shirt�from Head Space. Featuring a blue and white�target on a red�t-shirt. Plus a white�HEAD SPACE on the shoulder!�Sizes up to 2XL.